Black holes and neutron stars grow by accreting gas. Angular momentum considerations dictate that the gas will form into a disk of material. At high rates of mass transfer, motions in the disk will be nearly Keplerian, and internal friction – likely driven by the magneto-rotational instability (MRI) – will cause the accreting gas to heat-up and glow in X-rays (in the case of neutron stars and stellar-mass black holes) and UV light (in the case of massive black holes). 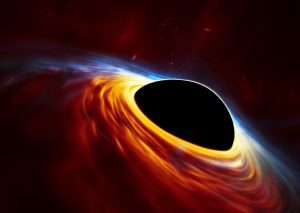 Some accountings estimate that half of the ionizing light in the universe is generated by accretion onto massive black holes. These are the broad outlines of a physical scenario that has been treated extensively using different theoretical tools, but which observations are only beginning to test. From the basic evolution of disks with mass accretion rate, to the behavior of of disks under extreme fluctuations, to the fundamental magnetic nature of disk accretion, we are exploring how accretion disks work.